With the Soto Street/Mission Rd. bridge removal and intersection reconfiguration project officially complete as of late October 2017, City officials are now focusing on the second of three projects which will run southward along Soto Street ending at the Valley/Soto bridge. On Wednesday August 2nd, City officials from Council Office 14, the Bureau of Engineering, and project consultants David Evans and Associates held their first of several community outreach meetings that are aimed to inform residents of the upcoming Soto Street widening project. 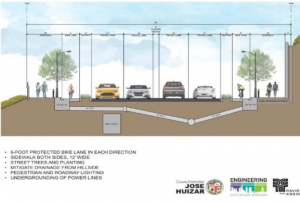 As part of a larger three project scope, the Soto Street widening project is the second of the three with the Soto/Valley Bridge widening concluding the three scheduled projects. Although the three projects follow in secession, they are each funded separately through different sources. 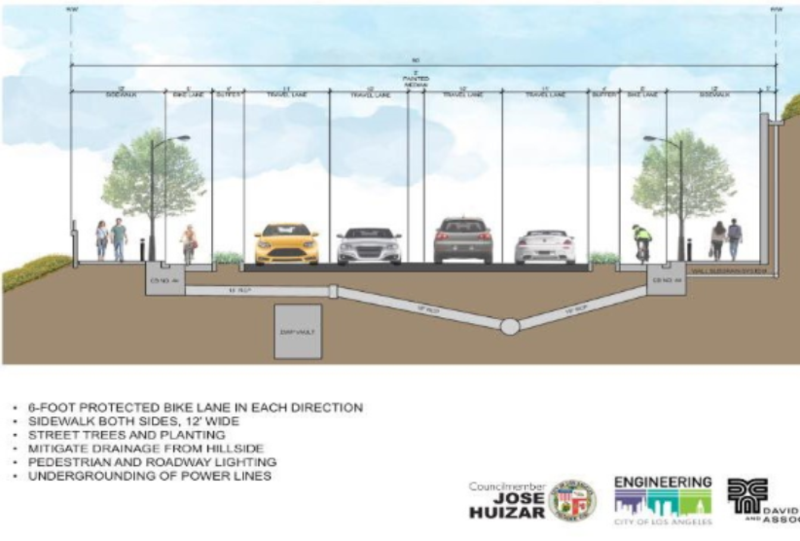 This middle section of the three is funded by Metropolitan Grant Fund of six million dollars combined with City of Los Angeles Sponsor Matching which totals approximately 9.2 million dollars for this project. The Soto/Mission Bridge Removal Project was funded with a Federal Highway Bridge Program Grant, City Matching Funds Prop G and Prop C, and a Metro grant.